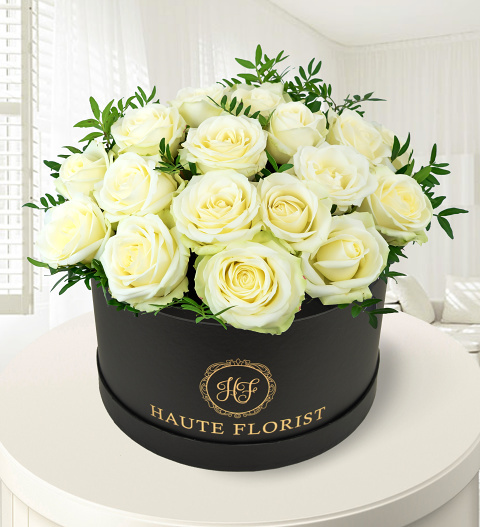 Make any lucky recipient feel like royalty when you send the Queen of Roses. These carefully selected Avalanche Roses are perfect for any occasion. We have arranged them in a gorgeous hat box and you will notice how the colour of this box beautiful contrasts that of the flowers.